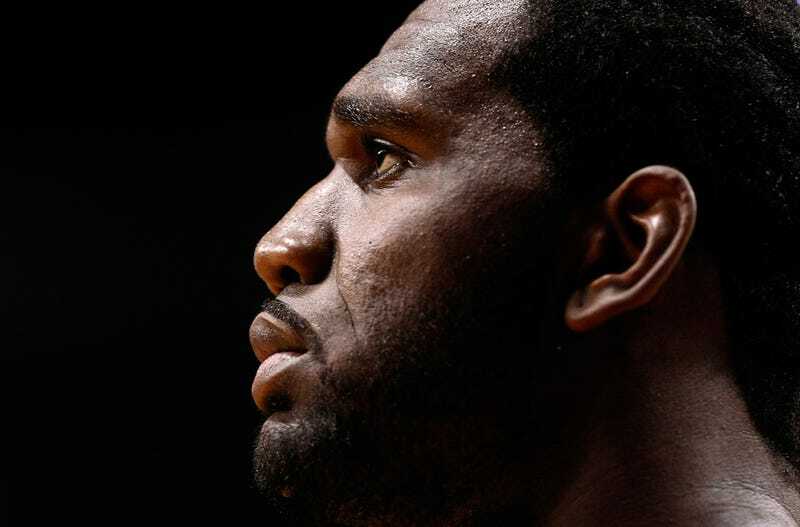 A tougher felony battery charge was filed today against Greg Oden, who is accused of punching his ex-girlfriend in the face three times, hitting her in the eye, forehead, and nose. Initially, police charged Oden with two preliminary counts of misdemeanor battery. Prosecutors seem to have disagreed, and now the former Miami Heat player faces one count of felony battery, one count of misdemeanor domestic battery, and one count of misdemeanor battery. The new charges were filed in Marion County Superior Court. Court records posted online by WTHR include the ex-girlfriend's account of what she says happened Thursday at the Lawrenece, Ind., home owned by Oden's mother. She told police it started as an argument and she went upstairs to wake up Oden's mother, hoping she could calm down her son. As she came down the stairs, "Oden attacked her, grabbing her by the left arm and began to shove her around the family room," the affidavit says. Oden then pushed her onto the couch, leaned over and "punched her with a closed right fist three times," the affidavit says. She said Oden hit her once in the left eye, once in the forehead and once in the nose. Oden finally stopped, she said, "when he saw the blood on her face." Two people called 911 that night, including Oden, who told a 911 operator, "And I already know how this [redacted] gon' go."